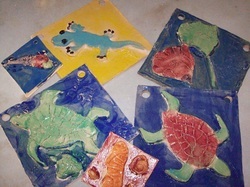 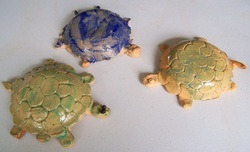 KIDS POTTERY WORKSHOPS 6 week program Saturday morning or Friday morning for homeschool kids. 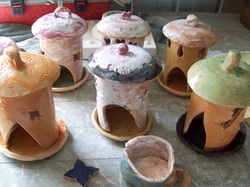 The workshop is for 1.5hrs 1 day per week there is a project each week and some time for self expression. 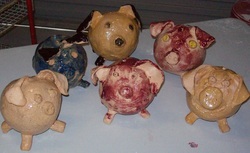 The kids will take home at least 6 glazed pieces as well as their own creations. 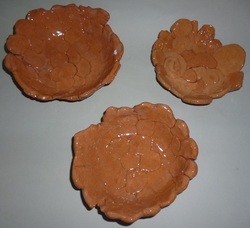 Bowls made from lots of clay balls. 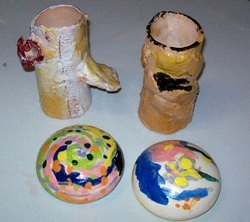 Pencil Holder and Paperweight that were done before fathers day.